The judiciary cannot ignore issues of representation by claiming to be neutral appliers of the law. Justice must also be seen to be done by all the communities involved. Chief Justice of India Ranjan Gogoi recently constituted a five-judge bench to hear appeals in the title suit to the Babri masjid dispute. The bench comprised the Chief Justice and Justices S.A. Bobde, N.V. Ramana, U.U. Lalit and D.Y. Chandrachud. In the first hearing, Justice Lalit recused himself from hearing the matter, leaving a vacancy to be filled by the Chief Justice before the next hearing on January 29. Chief Justice Gogoi needs to seriously consider his options before filling the vacancy on the bench that will be deciding this critical case. One of the parties to the case, Haji Mehboob, has questioned the all-Hindu composition of the bench, adding that it is imperative for a Muslim judge to be on the bench. This is an important claim because the composition of the Babri bench is a divergence from a general practice of the Supreme Court to include judges belonging to the minority community when hearing cases of importance to that community. This has been the case with all the benches which have heard the Babri matter in its various dimensions till now: they have always had a Muslim judge. For example, the Ismail Faruqui case, which dealt with the acquisition of the disputed site, had five judges – including a Muslim and a Parsi (both incidentally gave a dissenting opinion). Some cases of such a nature have in fact, not only had a Muslim judge, but also a judge from another minority community. The Triple Talaq bench, for instance, was marked by its religious diversity: a Sikh, a Muslim, a Parsi, a Hindu and a Christian. Now why does this matter? Diversity in the composition of a bench and for that matter the judiciary at large is critical for various reasons. It has been accepted that, though judges are not direct representatives of the people like members of parliament, the identity of judges matters in democracies. As professor Shimon Shetreet observes, the judiciary must at least reflect society as a whole, in terms of having a balanced composition of judges: ideologically, socially and culturally. Justice Pandian in the Second Judges case dealing with judicial appointments, also notes that “it must be ensured that all sections of the people are duly represented” in the judiciary. Balanced representation helps unelected judges gain democratic legitimacy and preserves the confidence of diverse communities in the courts. This is all the more important in cases involving constitutional law and public policy, where the judge plays a role in deciding critical political issues. This principle of reflection is the unwritten norm in most constitutional courts. In the US Supreme Court, for instance, efforts have been made to increase the representation of women and African-Americans over the last half-century. The Indian Supreme Court too has a practice of appointing a certain number of judges from marginalised groups. This principle is more explicit in international courts, like the European Court of Human Rights, where one of the judges on the bench has to be from the country arguing the matter before it. Further, the application of this principle can also be found in legislations such as the Sexual Harassment of Women at the Workplace (Prevention, Prohibition and Redressal) Act, 2013 which requires that at least half the members of the internal complaints committee constituted by employers to enquire into allegations of sexual harassment, including the presiding officer, be women. We recognise that there’s a difference between securing adequate representation in the judiciary as a whole and adequate representation on a particular bench. This is not a claim that judges from each community should be on all benches deciding constitutional questions. It applies only to those benches or cases of particular importance or concern for that community. In such cases, representation becomes crucial, in the same manner that having women on a sexual harassment committee is important because the issue is of particular concern to women. It is also incorrect to assume that a judge from a particular community will almost always decide in favour of her community in a case that is of significance to that community. On the contrary, the identity and background of such a judge may assist her in reasoning even more rigorously with competing claims. For instance, in the Sabarimala verdict, where the majority upheld the right of women between the ages of 10 and 50 years to enter the Sabarimala temple, the only woman judge on the bench, Justice Indu Malhotra, dissented. She held that the right to equality of women to enter the temple does not override the freedom of religion of others. The reasoning underlying her dissent has subsequently received appreciation from different quarters. Therefore, even though the identity of a judge matters, it is not the sole factor that decides a case. It is pertinent to reiterate that our claim is not that the judge’s identity always leads to predetermined outcomes. We have many instances of cases in India where judges belonging to the majority community have upheld various minority rights. Our claim is one related to procedural justice i.e. a demand that the procedure should be fair, and be seen to be so. For instance, a male member of a sexual harassment committee might make the same decision as a female member, but female representation is still considered imperative. This is not to deny the importance of the outcome of the case, but to highlight that procedural fairness adds to its legitimacy. This line of reasoning, which considers dissenting opinions to be of no value because it is only the majority verdict that is enforceable, is myopic. The same logic can be extended to argue that minorities should not be granted the right to vote if they cannot influence the outcome! Further, dissents play an important role in democracies as well as in courts of law: the jurisprudence of the Indian Supreme Court has demonstrated that dissenting opinions can be resurrected in later majority verdicts. A dissent in a court of last resort… is an appeal to the brooding spirit of the law, to the intelligence of a future day, when a later decision may possibly correct the error into which the dissenting judge believes the court to have been betrayed. The judiciary cannot, therefore, ignore issues of voice and representation by claiming that they are completely neutral appliers of the law. They must ensure that justice is seen to be done by all the communities involved. We understand that the Chief Justice has chosen a bench comprising of judges who will all become Chief Justices in the future. This was perhaps done to ensure continuity and implementation of the judgment post his retirement. However, the Chief Justice would do well to reflect on issues of diversity on the bench, to ensure the legitimacy of its judgment in one of the most controversial court cases in the history of independent India. 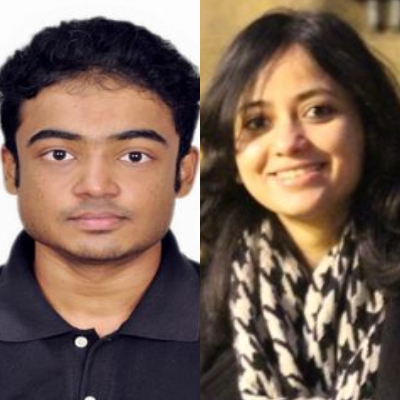 John Sebastian is an assistant professor teaching at Jindal Global Law School and Faiza Rahman is a consultant at National Institute of Public Finance and Policy, New Delhi. Views expressed are personal.